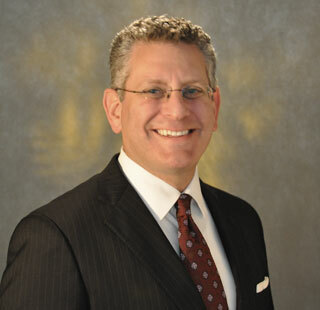 Brian R. Heitner has been a Partner in Seltzer Sussman Heitner LLP since 2007. He established his own private practice in 1996 focusing primarily on guardianship and estate matters and all aspects of elder law. His practice also encompasses real estate and corporate matters, as well as general civil litigation. For the last two decades, Brian has developed his practice to become a well-known and well-respected practitioner in the trusts and estates field, with a particular focus on estate litigation, and the specialized area of Article 81 guardianship law. Since 2010, Brian has been named each year to the list of New York Super Lawyers, signifying his high degree of professional achievement and peer recognition. In addition to routine estate administration in uncontested matters, Brian is a powerful advocate for his clients in contested estates. He has represented petitioners and respondents in litigated estates relative to probate matters, will contests, accounting proceedings and discovery and turnover proceedings in the various Surrogate’s Courts on Long Island and the City of New York. Brian has also represented petitioners and respondents in hundreds of other proceedings brought under MHL Article 81. He is certified to serve as Court Evaluator, Counsel for an Alleged Incapacitated Person, Guardian and Guardian ad Litem by the Office of Court Administration, and has served numerous times in each of those capacities pursuant to appointment by the Supreme Court of the State of New York and its Surrogate’s Courts. Brian’s knowledge of the law and strong, but practical approach to litigation, has made him a go-to attorney for other attorneys who lack the expertise in these areas. Brian is the contributing author/editor for the 2005 and 2006 update to the Thomson/West Publication, Kassoff, Elder Law and Guardianship in New York. He regularly lectures to attorneys, other professionals and the general public on estate and guardianship issues and has served as a moderator and frequent panelist for Article 81 guardianship programs. Brian represents the business community, from small family owned businesses to multi-million dollar corporations with respect to formation, management and policy, strategic acquisitions, employment law disputes and financing. He has also represented numerous litigants in general commercial actions as well as in litigation over real property, including partition actions and fraudulent conveyances. Brian is a Member of: the New York State Bar Association and its Trusts and Estates Law Section and Elder Law Section (www.nysba.org); the Queens County Bar Association, its Surrogate’s Court Committee and Committee for the Elderly and Disabled (www.qcba.org); the Nassau County Bar Association and its Elder Law Committee and Surrogate’s Court Estates and Trusts Committee (www.nassaubar.org); and the Nassau Lawyers Association of Long Island, Inc. (www.nassaulawyersassociation.com) of which he is a past President and previously served as its Chairman of the Board, First Vice-President and Treasurer. Brian graduated from Binghamton University where he received a Bachelor of Science degree from the School of Management. He obtained his Juris Doctorate from Brooklyn Law School. He is admitted to practice in the State of New York, State of Connecticut (retired) and the Federal District Courts for the Southern and Eastern Districts of New York.